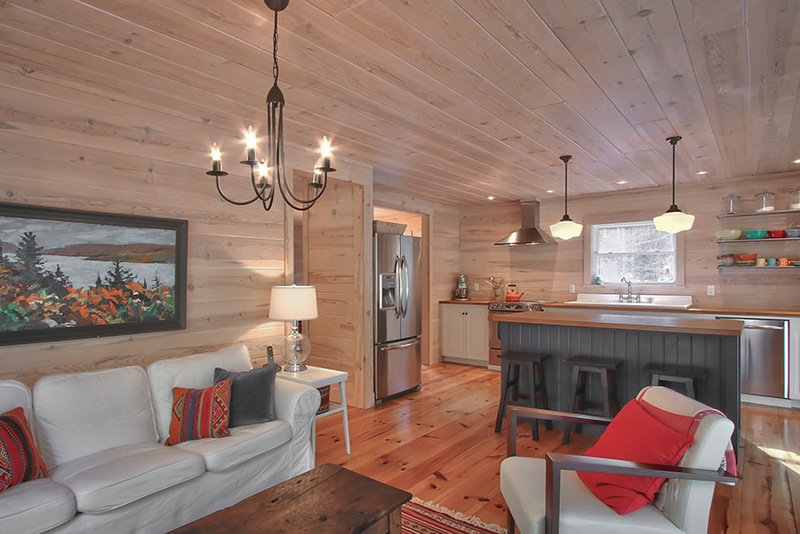 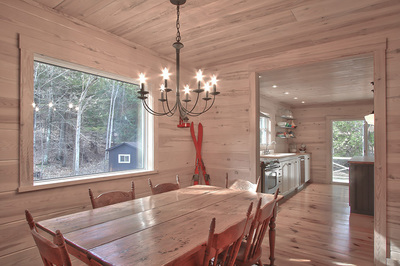 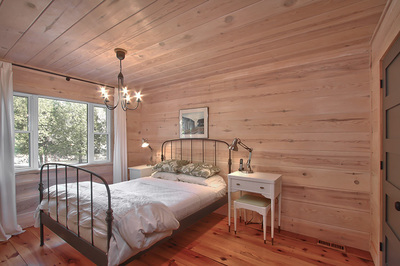 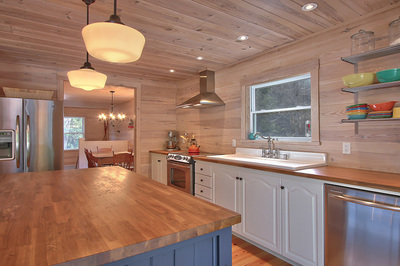 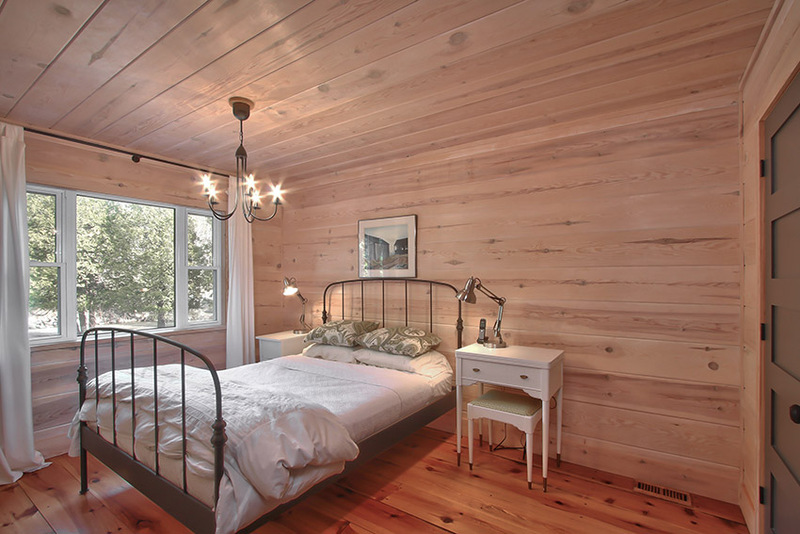 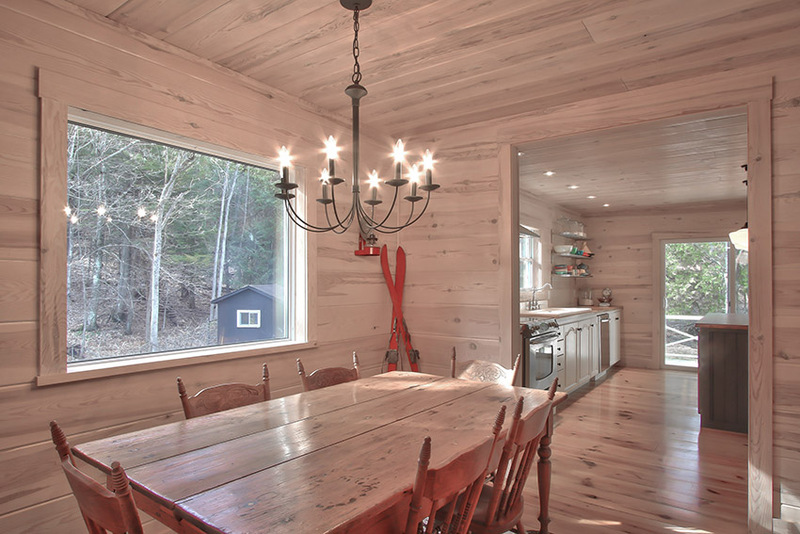 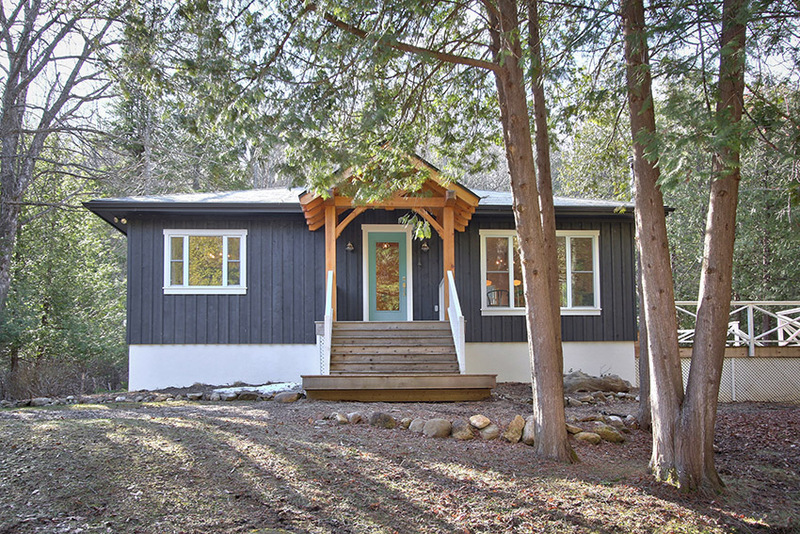 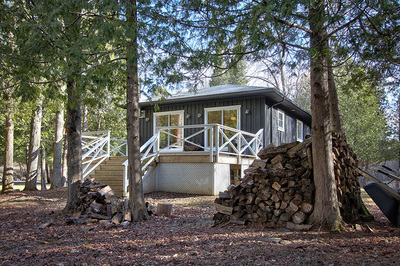 CREEMORE HILLS: a rustic modern retreat property on the Noisy River just west of Creemore, Ontario. 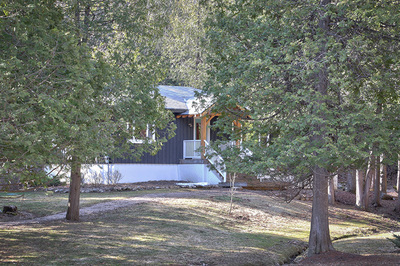 It was completely re built in 2010 from the ground up with energy efficiency as the goal. 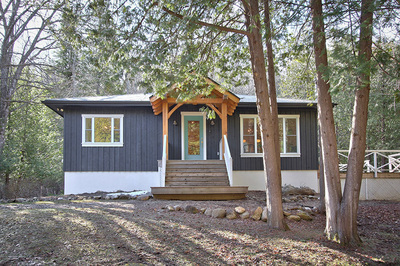 All new ICF foundation, spray foam insulation, new roof , plumbing and 200 amp electrical. The front porch is a Normerica post and beam design and the second cedar deck is 20’ X 16’ and overlooking the river. There is a high efficiency furnace and water heater both with phone activated control system. The house is a contemporary design with warmth added by wide plank floors, pine wrapped walls and ceiling, and natural stone. 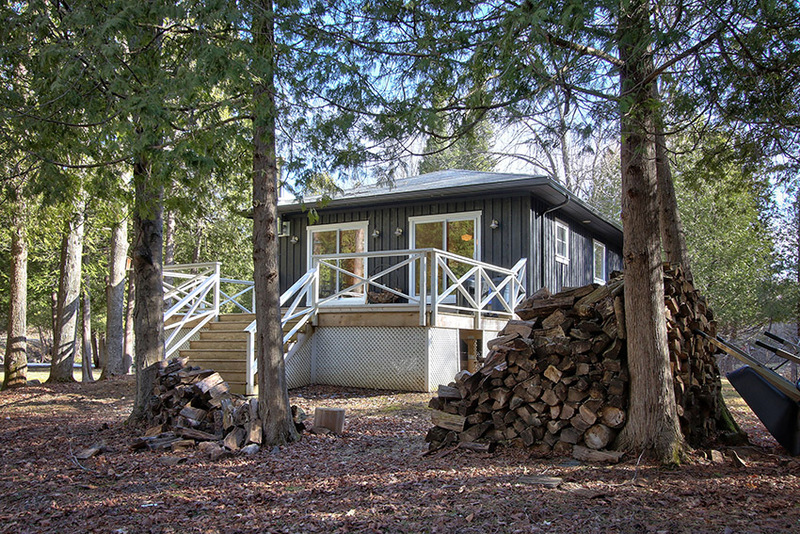 This entertainers kitchen has a large centre island with power outlets and lots of prep and storage room, as well as stainless steel appliances. 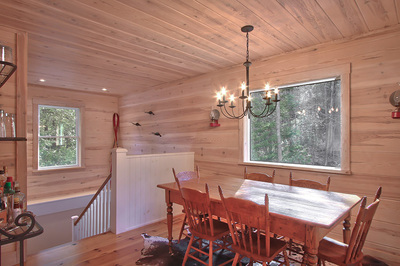 There is a separate dining room just off the kitchen. 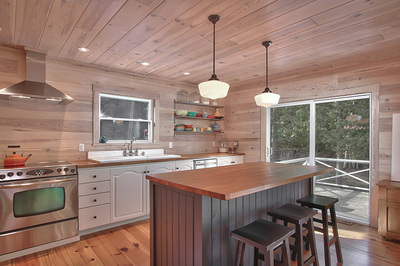 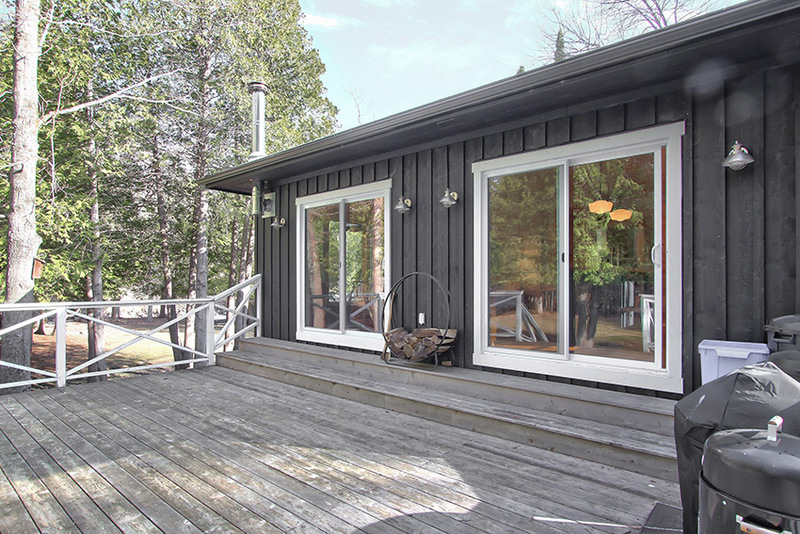 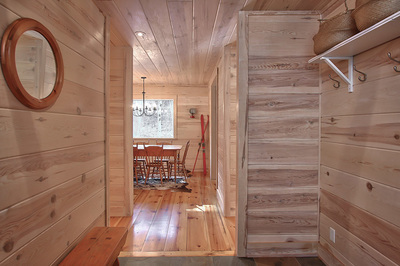 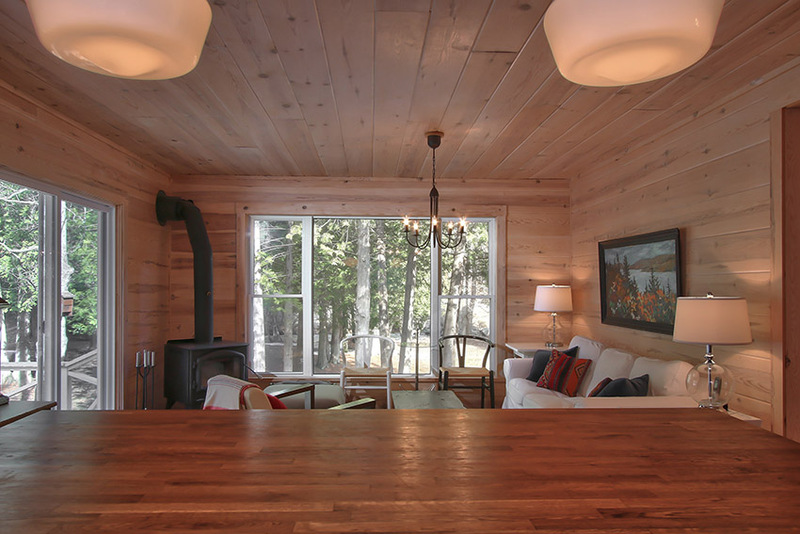 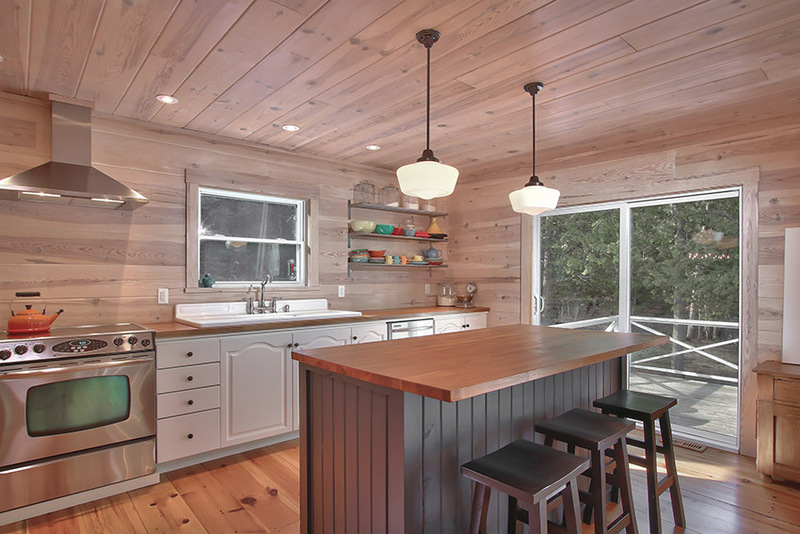 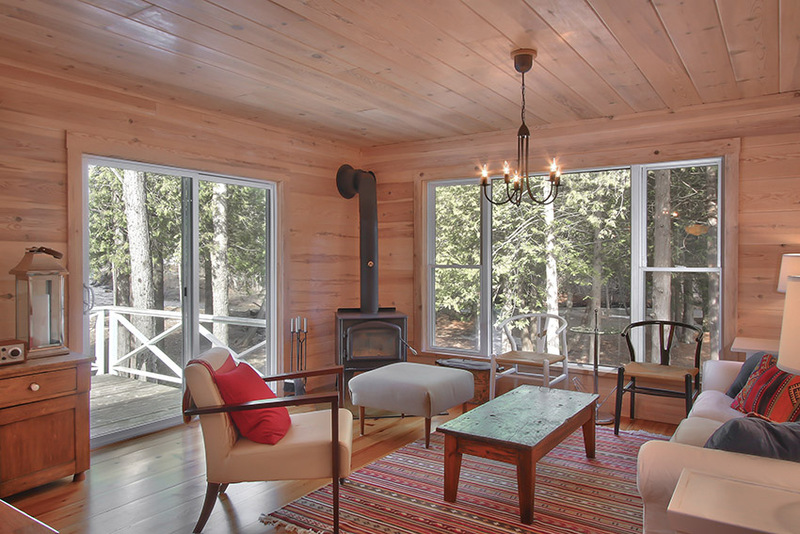 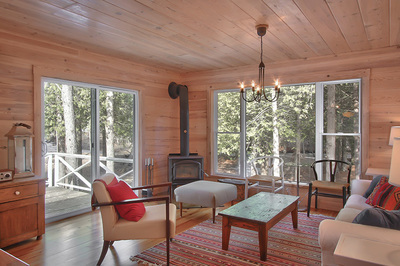 The living room has generous windows with river views on 2 sides and an efficient wood stove. 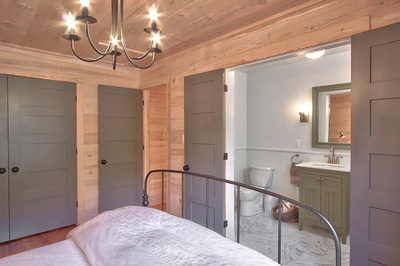 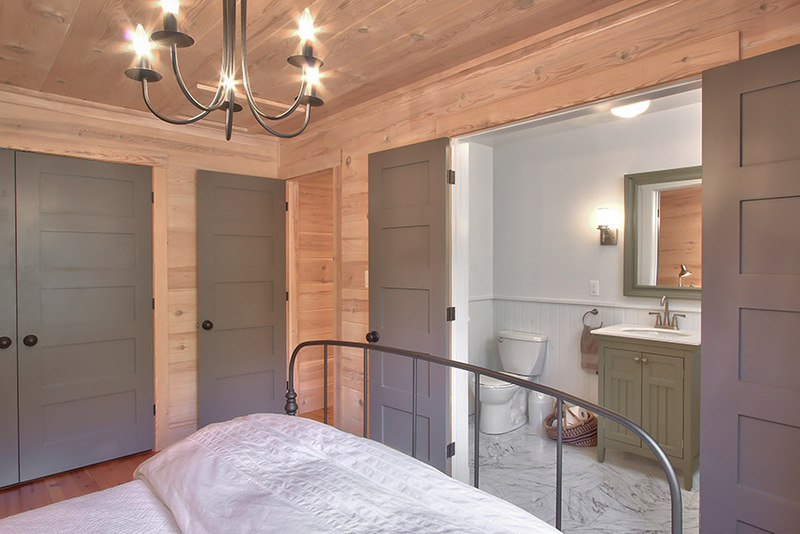 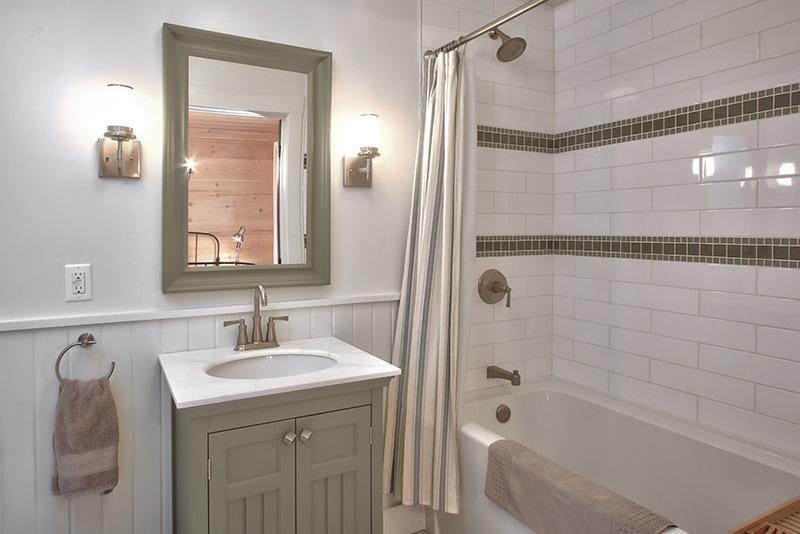 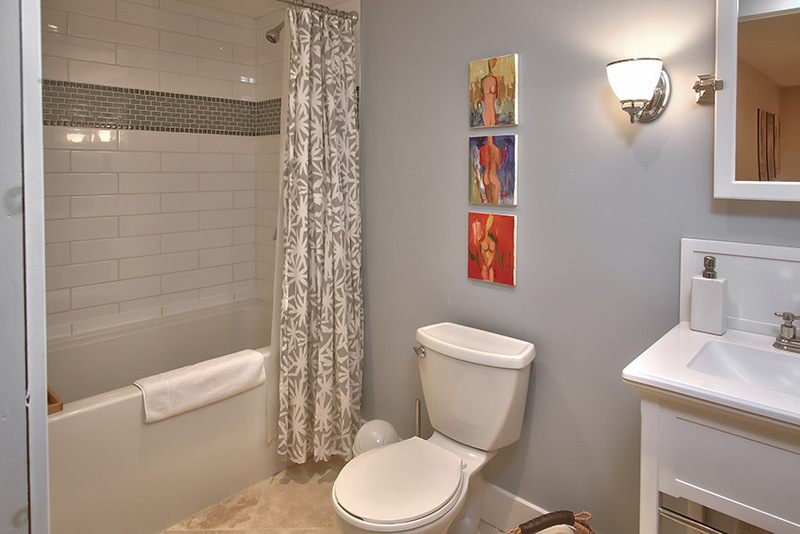 The main floor master has an ensuite with marble floors and a deep soaker tub and shower. 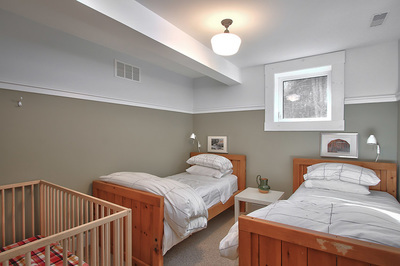 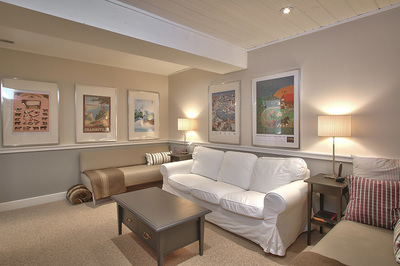 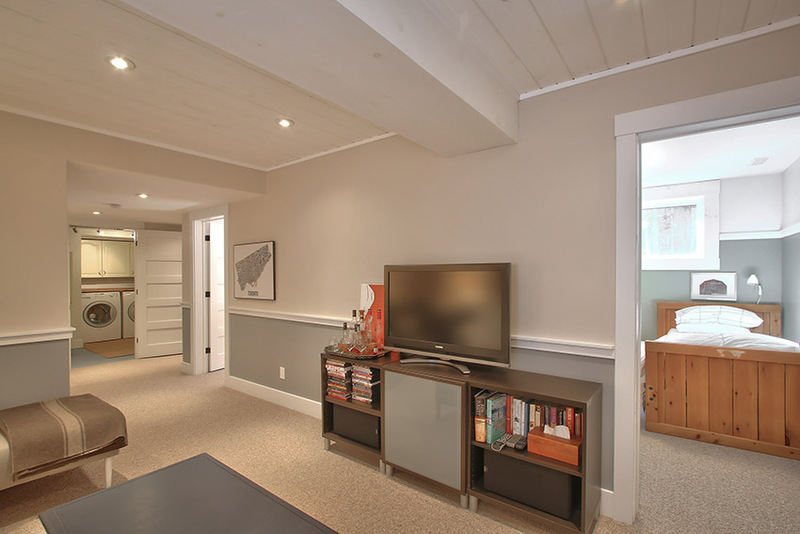 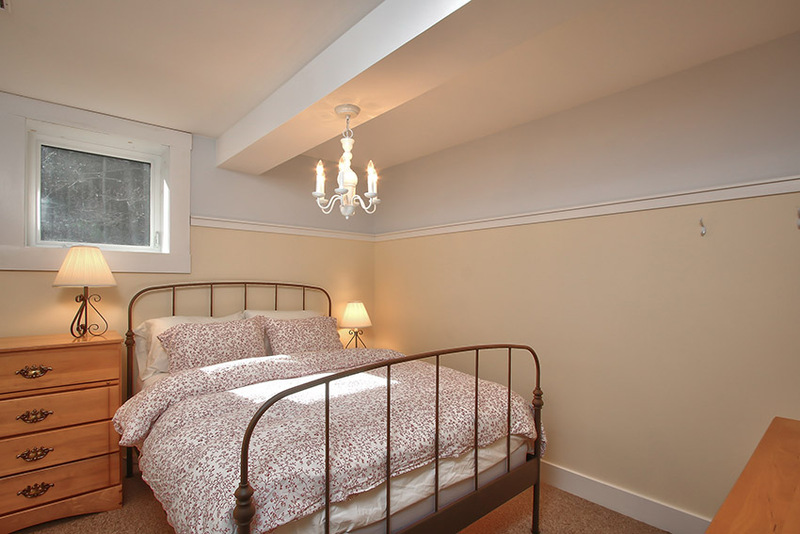 Downstairs a family room provides a separate sound zone for the kids and two queen size guest rooms. There is a full bath with heated travertine floors on this level. 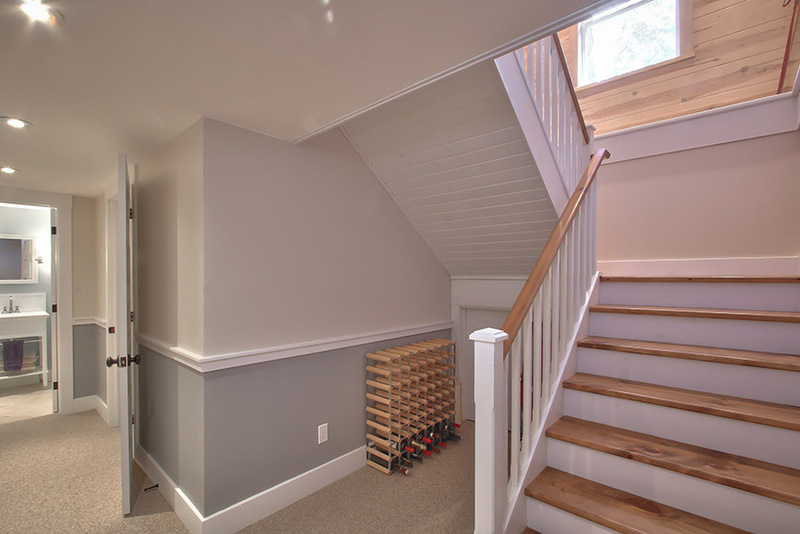 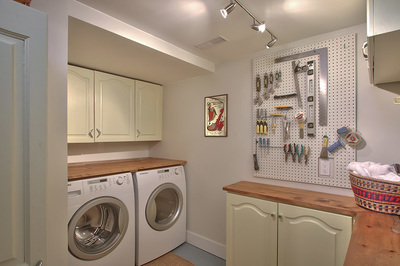 Also there is a laundry room with lots of storage and counter space. 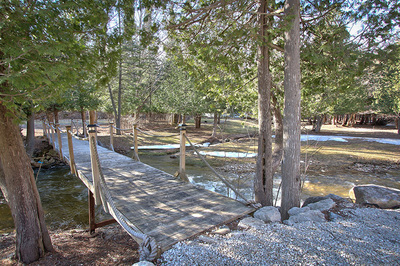 The private retreat property is low maintenance and all ready to move in and enjoy. 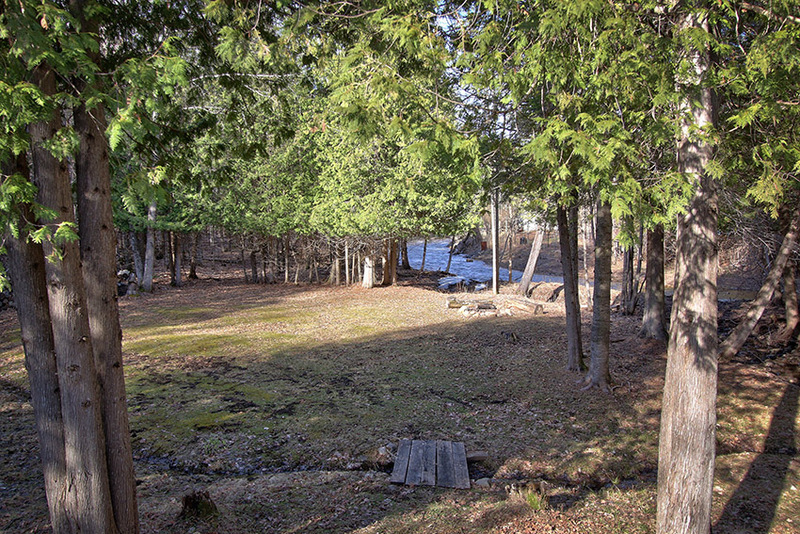 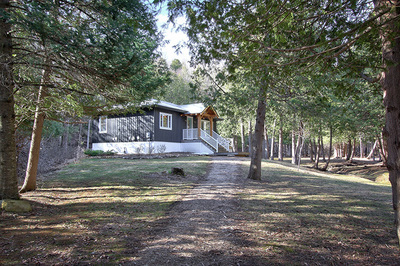 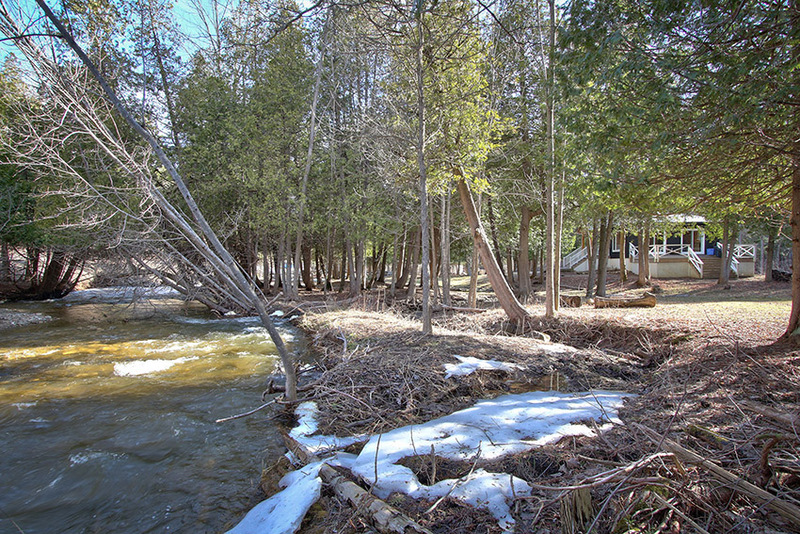 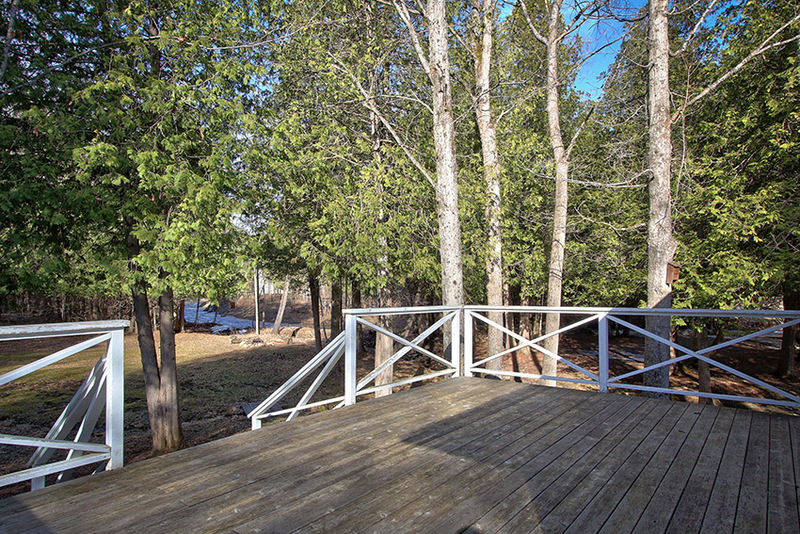 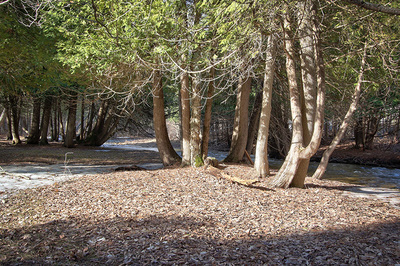 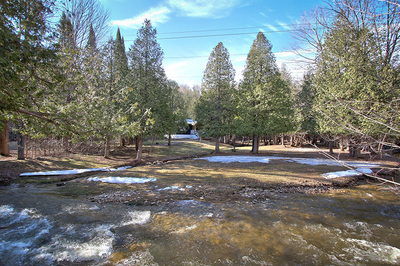 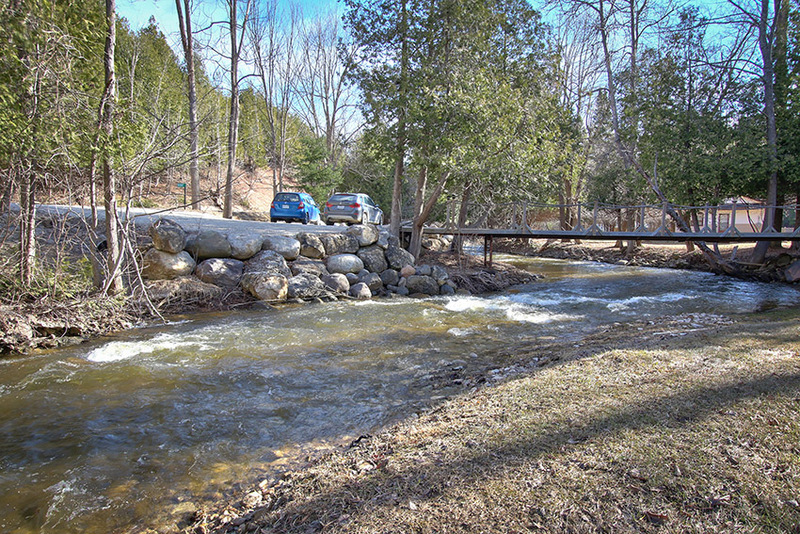 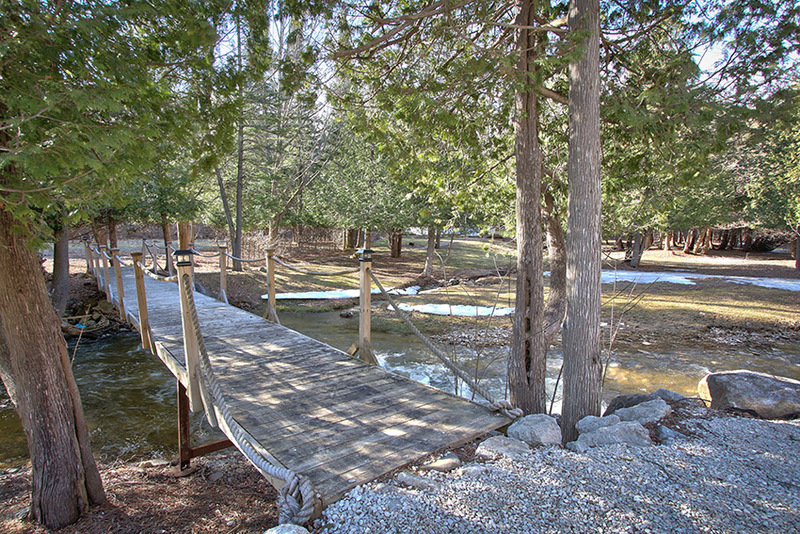 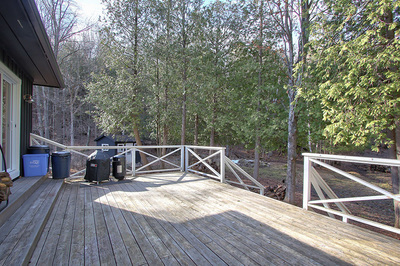 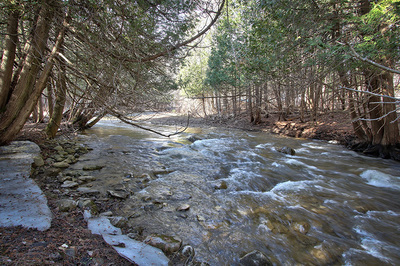 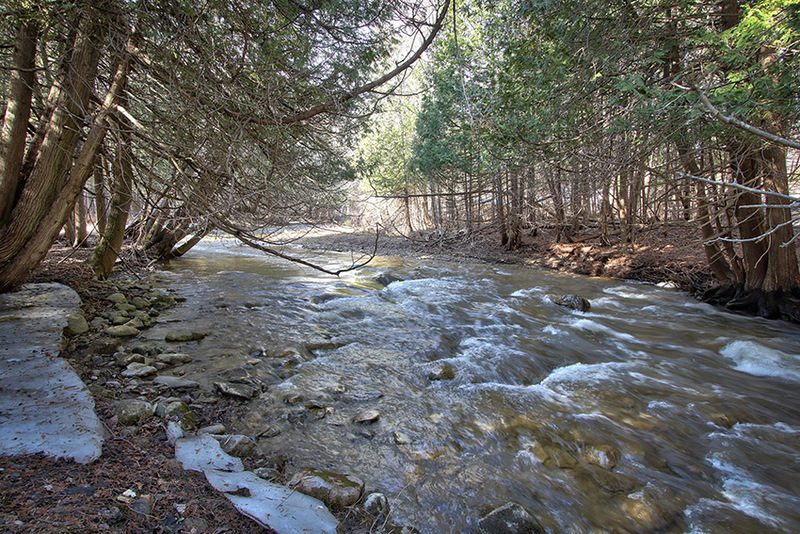 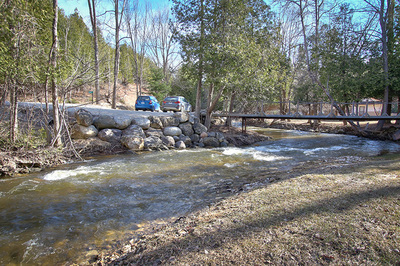 It is located close to Creemore, Devils Glen Ski Club, Mad River Golf, and the Bruce trail.